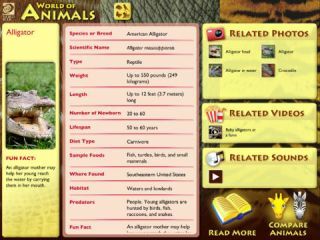 Pros: Quick access to fascinating and useful information about 200 animals. Cons: No way to share research notes. Bottom Line: Rich animal resource has lots of science, research, and writing applications.